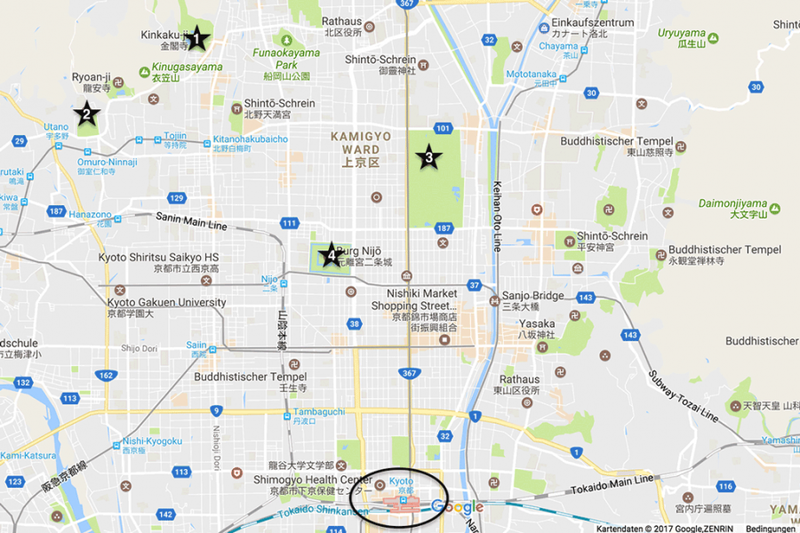 Where’s the best place to stay in Kyoto? 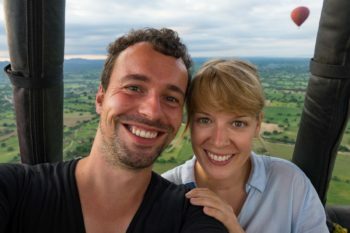 Our Kyoto hotel tips! Kyoto is an absolute must-visit for any trip to Japan. 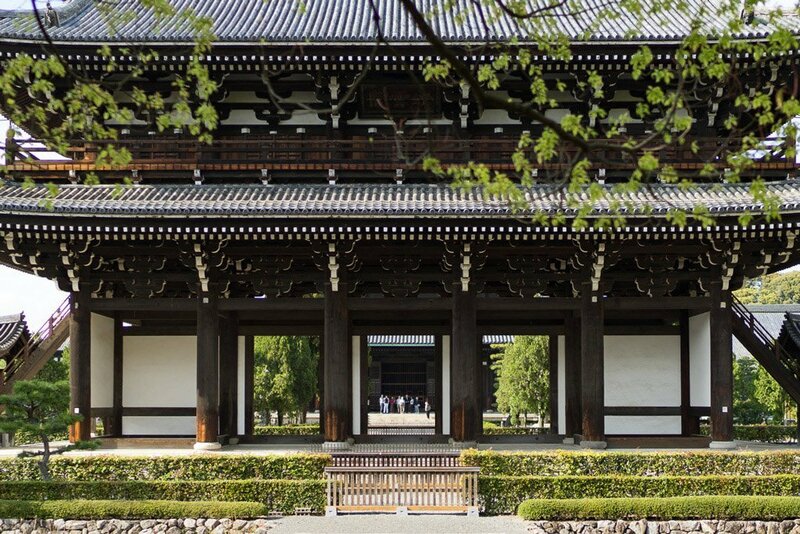 The city was the capital of Japan for several centuries and so you’ll find historic buildings galore in Kyoto. 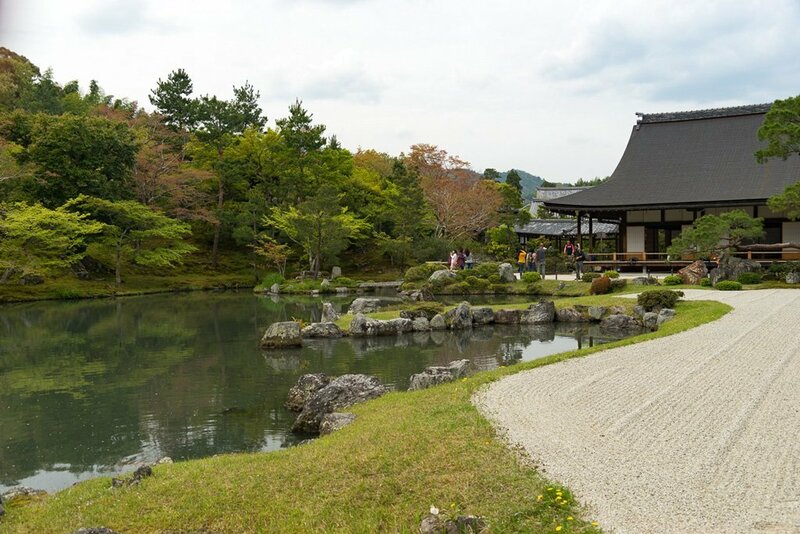 You can easily spend a week here and you still won’t manage to visit all the sights and temples in and around Kyoto. Most travelers don’t have that much time anyway. That’s why we’ve have compiled a 4 day itinerary for Kyoto in this post. 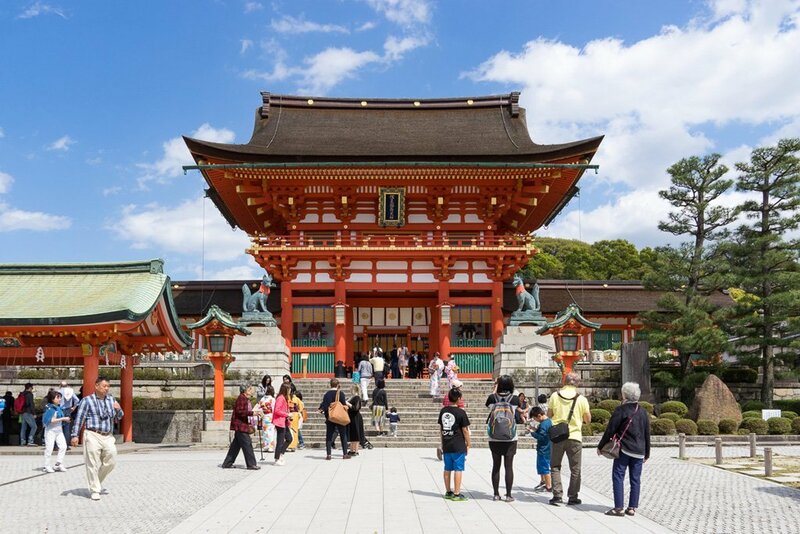 We’ll tell you which temples we’ve seen in Kyoto, what we thought of them, which ones you absolutely have to see, and we’ll give you a route suggestion for a tour of Kyoto. 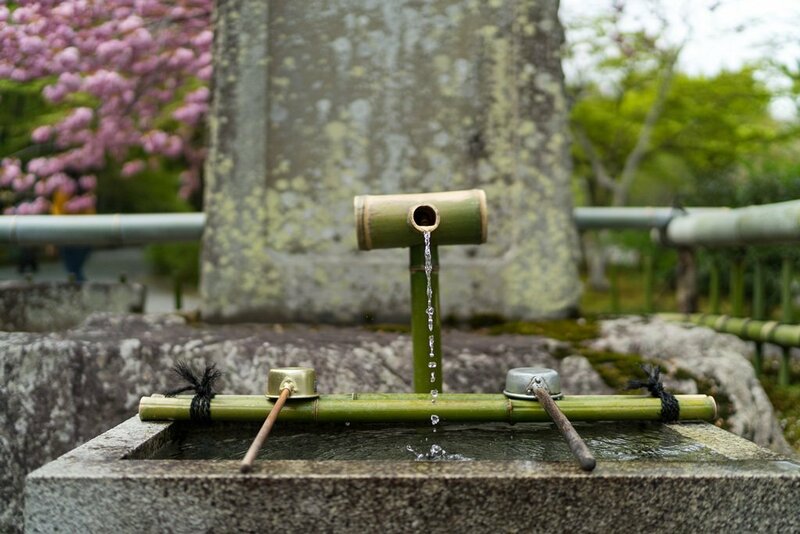 Our Kyoto post features 4 walking tours for 4 days in Kyoto. If you have more than 4 days in Kyoto, you can obviously see even more, and if you have less time on your hands, we’ll tell you which sights we’d skip. And as always, we have a lot of practical tips on where to stay in Kyoto, our favorite restaurants, and local public transport. You can use the table of contents to jump to a section of your choice or read the entire article from top to bottom. Have fun! When we started planning for Kyoto, we were completely overwhelmed by the huge number of temples and sights. The individual highlights in Kyoto are also quite far apart, so you have to plan ahead if you want to see as much as possible in a relatively short time. To help you with your planning for Kyoto, we’ll show you the order in which we visited the temples and give you our tips for a route through Kyoto. We read elsewhere that you should buy the Kyoto Bus Pass for a price of 500 yen per day to use all the buses in Kyoto. We can’t really confirm that though. 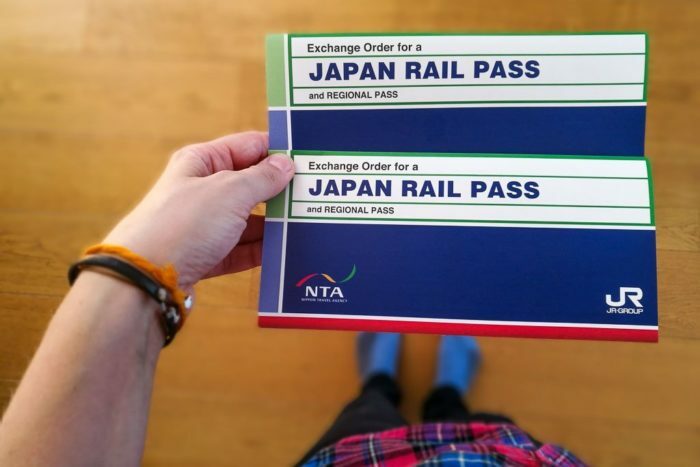 Most days we didn’t need one as our hotel in Kyoto was in a perfect location and we were able to use our Japan Rail Pass on the local train. We’ll tell you in each section whether the pass is useful for that day’s tour or not. Of course we didn’t manage to see all the temples, but that’s completely impossible in just a few days anyway. 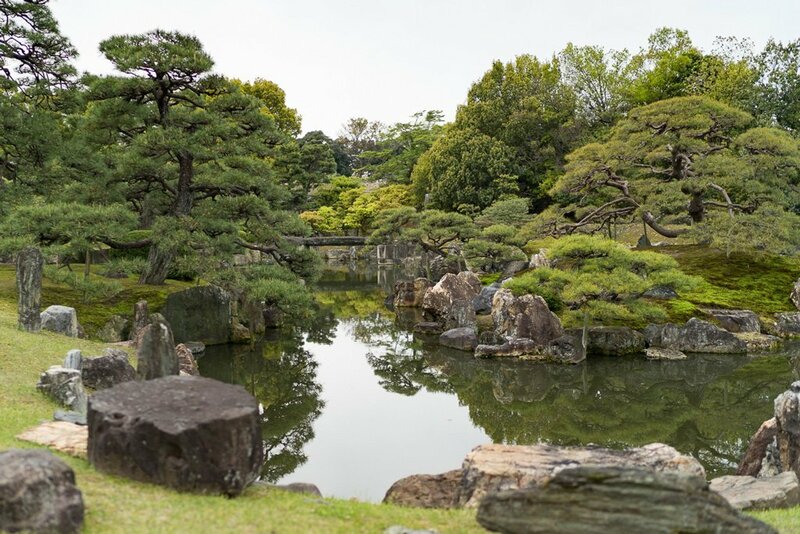 Nevertheless, we did manage to see all the most important sights in Kyoto and also some checked out some well-kept secrets that you won’t find on your average itinerary for Kyoto. We’ve put together a 4 day Kyoto itinerary for you. You can find detailed attraction maps for each day in the post! For starters, we scoped out the temples in the east of Kyoto on our first day there. These temples are all close to the city center, making it a good first-day tour. All the sights and attractions are within walking distance so there’s no need to buy the Kyoto Bus Pass on day 1 of our itinerary. Our feet ached a bit at the end of the day, but all in all the distances between the temples don’t warrant taking the bus. The temples in the east of Kyoto. The station is circled in black to help with your orientation. Passing through the Gion district (a), which has developed into the center of Japanese geisha culture over the years, we headed to Kennin-ji Temple. 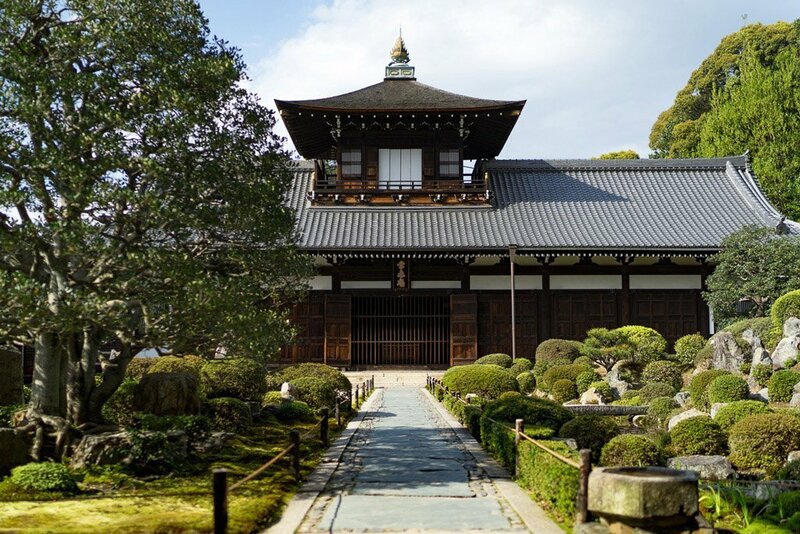 The 12th-century Kennin-ji is the oldest Zen temple in Kyoto. The vast temple complex is really worth seeing and not as crowded with tourists as many of the other temples. The temple might not be all that spectacular, but it’s still a good entry point into world of temples in Kyoto. Our verdict: Nice enough, but not a must-see. If you explore Kyoto on foot, you’ll come across small hidden temples that you’d never get to see if you had just taken the bus from A to B.
That’s how we came to visit Yasui-konpira-gu Shrine, which we stumbled upon by chance after our visit to Kennin-ji. 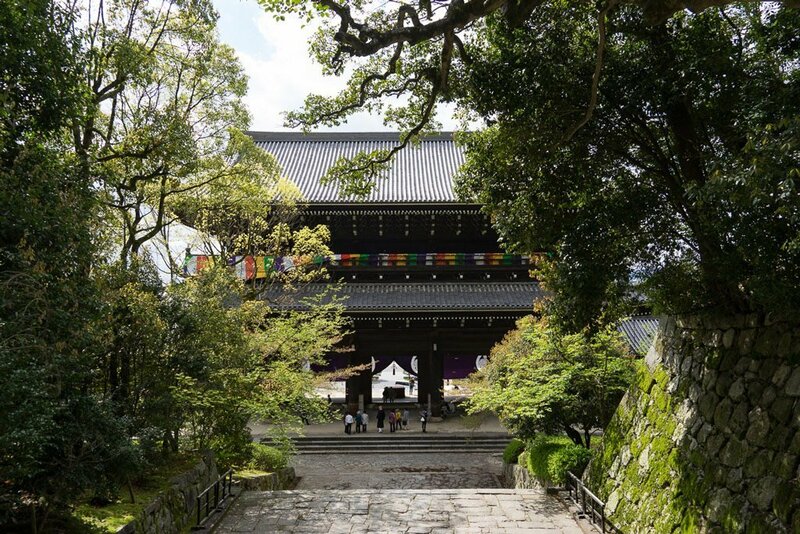 At first glance, the small temple doesn’t really stand out amidst Kyoto’s large and well-known temples. Of course we wanted to know what it was all about, so here’s what we found out: The stone has the power to help you with your relationships with other people. If you want to establish a relationship with someone or to end a relationship, then this is the stone for you. First you have to pray in the main hall of the temple. Then you buy a note to stick on the stone for 100 yen. Write down your wish on the note. Then you crawl through the stone from front to back while reciting your wish. Next you crawl back in the other direction while you continue to recite your wish. When you’re done, you stick your note next to all the others and the magic stone will take care of the rest. Our verdict: A real hidden delight that we highly recommend. Plus it’s magic, so there’s that. Kodai-ji is a Zen temple that we liked a lot. Surprisingly enough, we hardly encountered any tourists here. That’s probably because the bus tours don’t visit the temple, so only independent tourists come here. The vast temple complex includes a Zen garden and a small bamboo forest that’s great for taking pictures. Our verdict: One of the most beautiful temples in Kyoto and absolutely worth seeing. 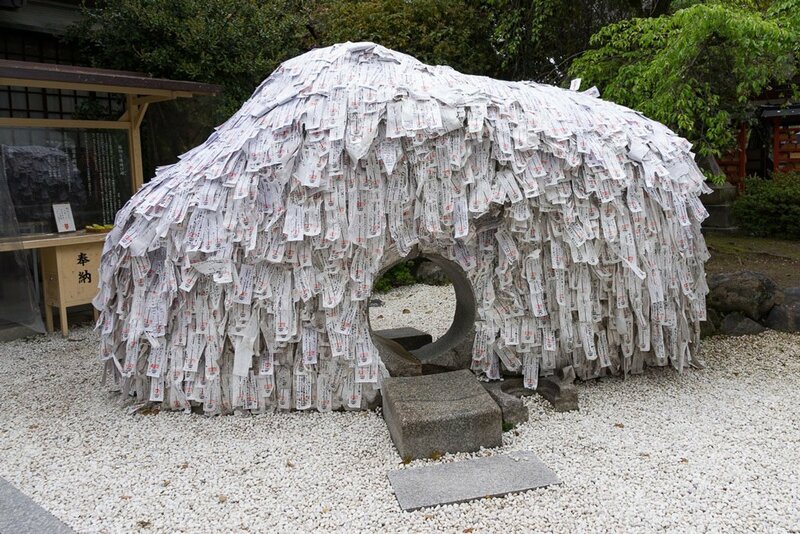 Entoku-in is a small sub-temple of Kodai-ji, located right on the opposite side of the road. The temple has a nice garden, but apart from that it isn’t particularly spectacular. Sometimes Entoku-in hosts light shows in the evening, which we hear are very worthwhile. Our verdict: Not something you really need to see. Chion-in is a Jodu Shinshu Buddhist temple. This particular version of Buddhism is particularly popular in Japan. The huge entrance gate is especially interesting, with the stairs leading up to the temple right behind it. The main hall is currently undergoing renovation and is hidden beneath a huge corrugated iron construction. The inside of the hall is partly accessible though and a huge ceremony with lots of believers was in progress while we were there. Our verdict: Due to the ongoing construction work, scheduled to last until 2019, the temple isn’t a highlight at the moment. At the end of the day we visited Kiyomizu-dera Temple. The 8th-century Kiyomizu-dera is one of the most famous temples in Kyoto, which makes it a prime destination for all tourist groups. 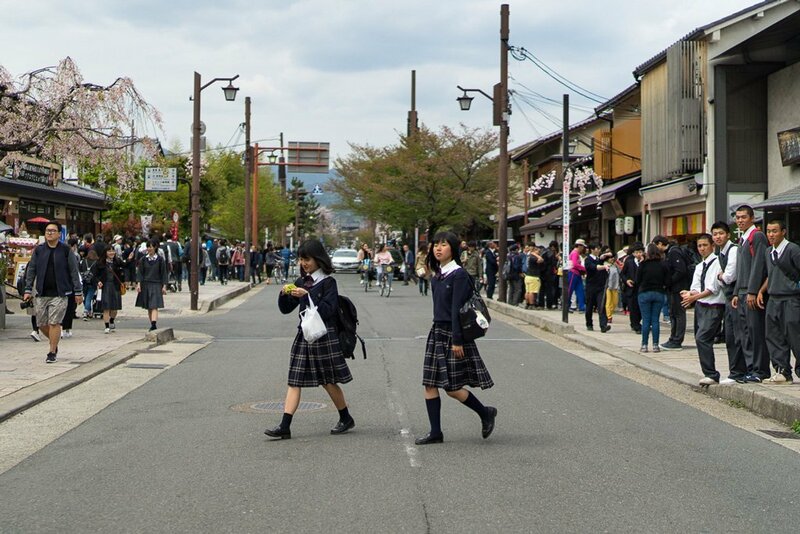 The pretty streets, Ninnen-zaka and Sannen-zaka, exude the ‘old’ Kyoto charm. Since Kiyomizu-dera is one of the best-known sights in the city, the streets are packed with tourists and souvenir shops. If you have the time, try to get off the main roads and explore the side streets. Kiyomizu-dera’s main hall is under renovation and is hidden behind an impressive bamboo scaffolding. That’s not that big a problem though, the hall isn’t that photogenic on the outside anyway. You can still get inside despite the ongoing construction work. Our verdict: Of course Kiyomizu-dera is a must-see in Kyoto and the location with a view overlooking the city alone is worth the visit. Sometimes the journey is the reward. We started the second day in the south of Kyoto. The temples there are too far to walk from the city center, but you can get there in a few minutes by train. You don’t have to get a ticket if you have a JR Railpass. If not, the trip still only costs about 2 euros. Once again, the Kyoto Bus Pass isn’t worth it for day 2 of our itinerary. Sights and attractions in the south and near the station. Fushimi Inari Shrine is one of the absolute highlights of any Kyoto visit. The shrine itself is rather unspectacular, but the red torii you pass through on your way up the mountain more than make up for it. In total, there are more than a thousand of these red gates, all of them donations by individuals or companies. In the beginning, the torii are very dense, but later on the gaps between them get larger and larger. It’s still very crowded right at the bottom around the first torii, and taking pictures is almost impossible when you’re surrounded by that many people. Fortunately, the bus tourists don’t go very far up the mountain, so it empties out as you get closer to the top. Have a bit of patience and you’ll get a chance to take some great souvenir photos. Our verdict: An absolute highlight that you mustn’t miss. It’s a 14-minute train ride to Inari Station from Kyoto Station with the JR Nara-Line. The ascent starts right outside the train station. After Fushimi Inari, we walked to Tofuku-ji. 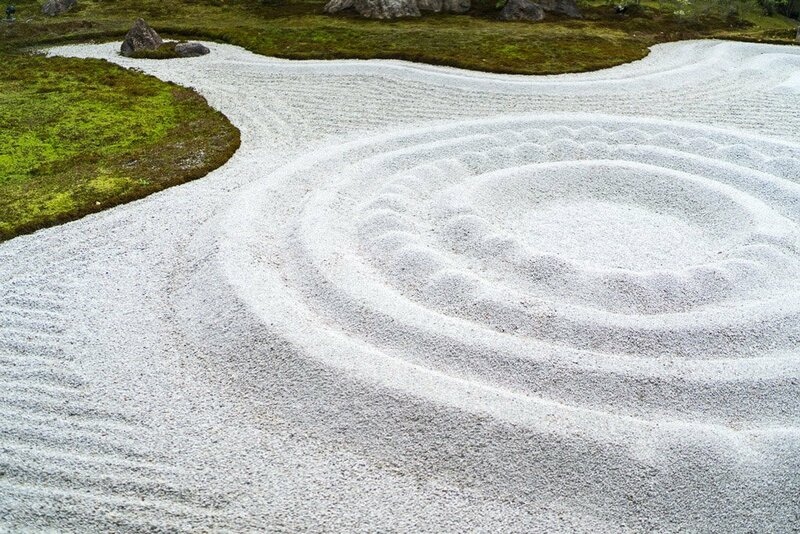 Tofuku-ji is a Zen temple, one of the most beautiful temples we’ve seen in Kyoto. Surprisingly, only few tourists come here. 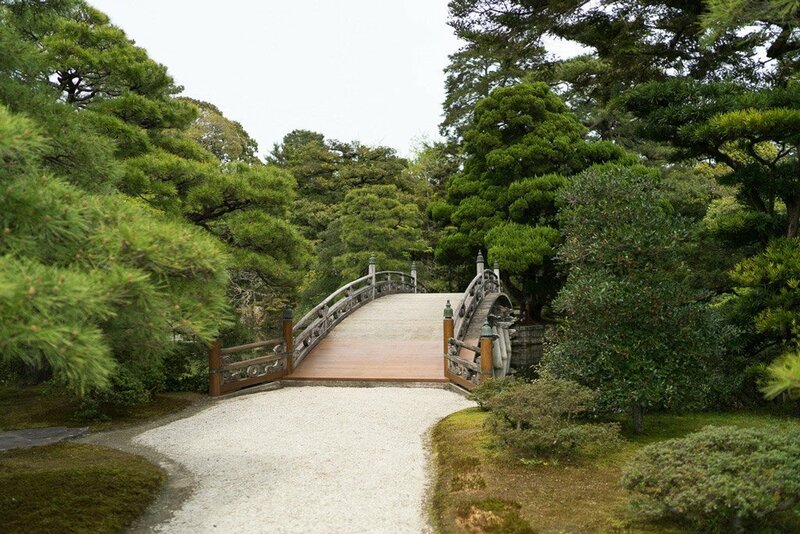 The temple complex is beautifully idyllic, with an old wooden bridge, a small stream, lots of greenery, and beautiful gardens. Our verdict: Apparently it’s a well-kept secret, but one you definitely shouldn’t let slip you by. The main buildings are free, while the area with the bridge and the Zen garden cost 400 yen each. But both they’re both really worthwhile. It’s 20 minutes’ walk from Fushimi Inari. When you’re done here, you can take the JR train from nearby Tofuku-ji Station to Kyoto Station. To-ji Temple is located to the south of the train station. 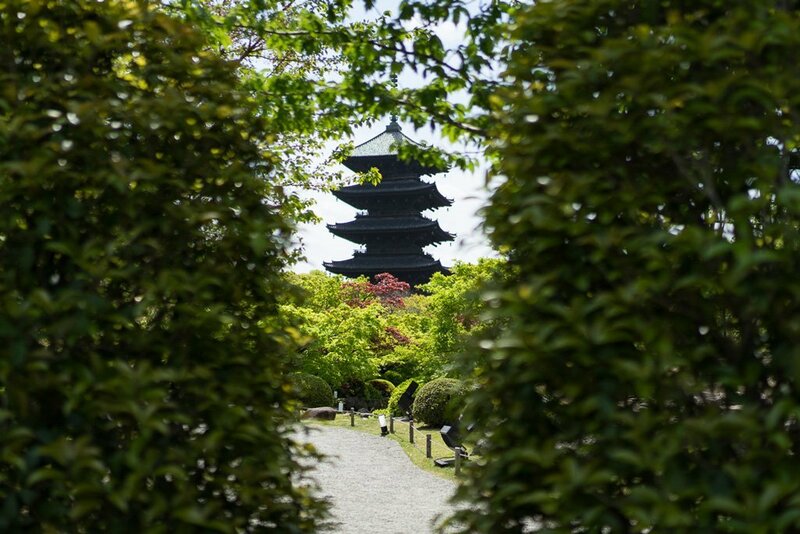 It dates back to the 8th century and is mainly known for its 5-storey pagoda, which rises up from the beautiful temple garden. To-ji isn’t featured on the usual tourist routes, so it isn’t particularly crowded here. Our verdict: Pretty temple away from the crowds. But not something you absolutely need to see. It’s a 10-15 minute southbound walk from Kyoto Station. As the final stop on our temple tour around Kyoto Station, we checked out the two Hongan-ji twin temples. The two temples look very similar on the outside. But the golden interior of the huge halls is what makes these temples worth seeing. They’re the largest of their kind in Kyoto. The two temples are only 5 minutes apart and are a good way to end, or if you want to do it in reverse, start this day’s itinerary. Our verdict: Their proximity to the station make them a nice way to finish the day, but they’re not an absolute Kyoto highlight. It’s actually worth buying a Kyoto Bus Pass for day 3 of our itinerary. Taking the bus is the only way to get to the temples in the northeast because they’re not connected by train or metro. 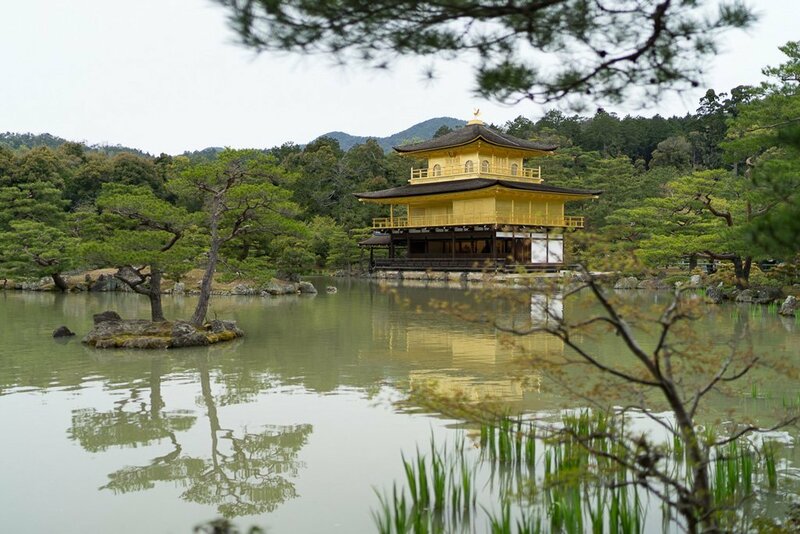 The first stop of the day is an absolute highlight on any Kyoto itinerary, Kinkaku-ji Temple. The pavilion languishes in a picturesque setting by a small lake a small lake and is a real eye-catcher with its entirely gold-plated facades. If you want some peace and quiet here, you should make sure to be at the front of the line when the ticket counter opens at 9 am. Otherwise, be prepared to be buoyed along by tourist groups pushing their way through the rather narrow pathways. Of course the pavilion is really beautiful, but it’s no place to relax. Our verdict: The golden pavilion looks great, there’s no question about it. But the masses of tourists really cloud the picture. This was the most crowded place we visited in all of Kyoto. Bus routes 12, 59, 101, 102, 204, and 205 go straight to the temple from Kinkakuji-michi Station. The bus ride takes a good half hour from the city center. About two kilometers to the west of Kinkaku-ji lies the Zen temple Ninna-ji. 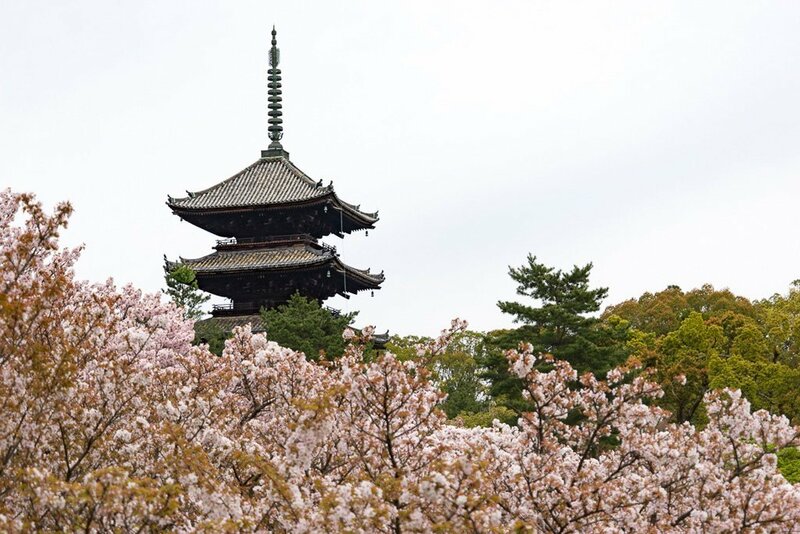 The temple has a beautiful garden and is an especially popular place during cherry blossom season. There’s a vast cherry tree park on the grounds, which must look absolutely magnificent when the trees are in bloom. We were there towards the end of cherry blossom season, so unfortunately many of the flowers had already dropped. It was still very pretty. If you feel like it, you can stop at Ryoan-ji Temple on the way from Kinkaku-ji and Ninna-ji, which is known for its beautiful rockery. 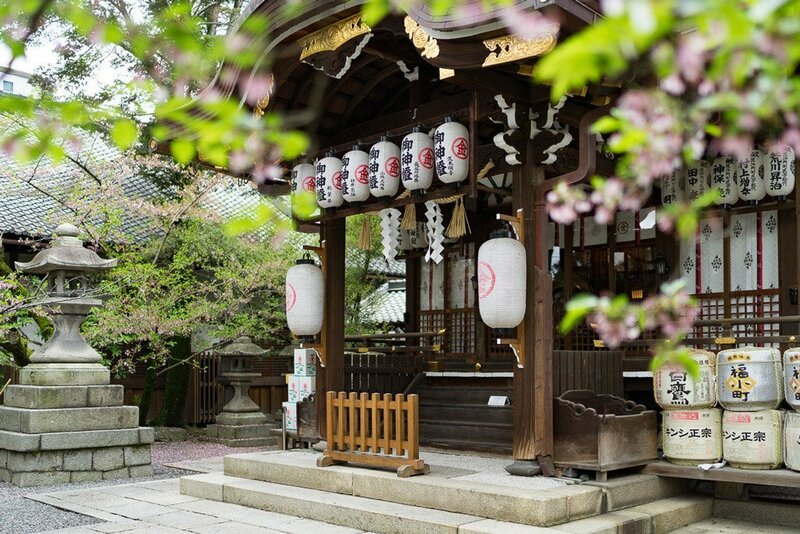 Our verdict: During cherry blossom season, this temple is an absolute highlight. 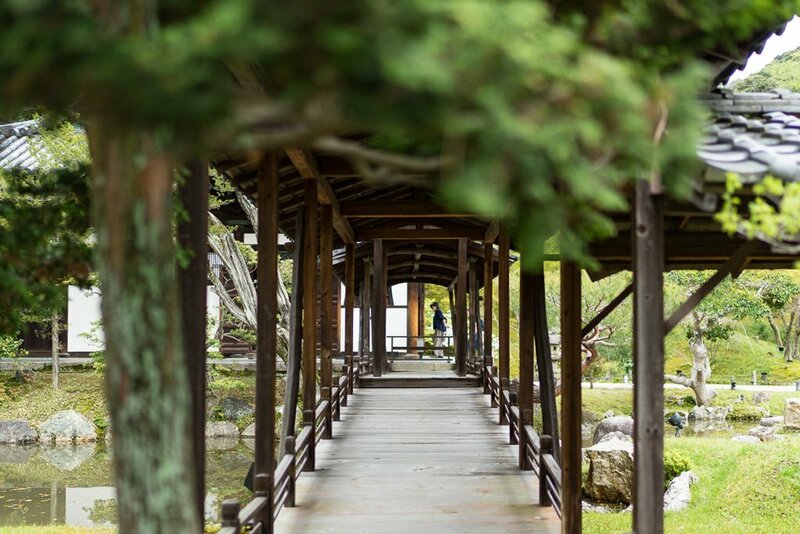 If you’ve already taken the long journey to the Golden Pavilion, a little detour here is definitely worth your time. The bus number 59 takes about 10 minutes from Kinkaku-ji to Ninna-ji. 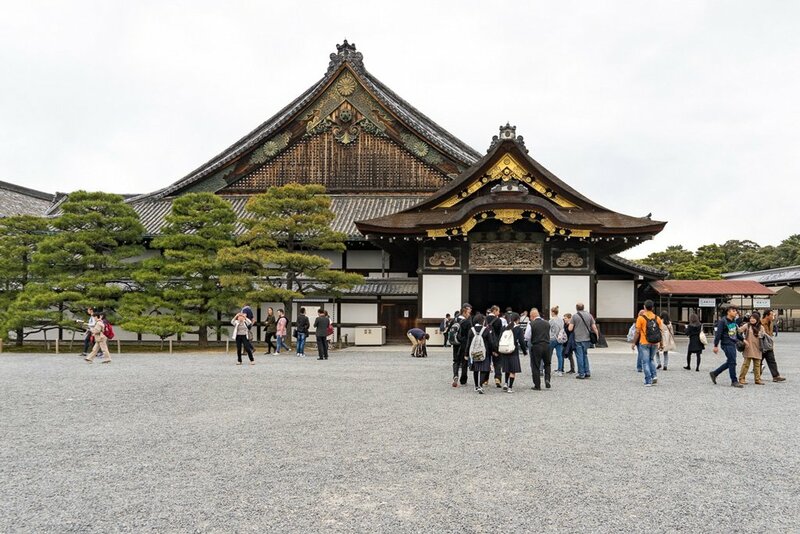 The Imperial Palace is located in the center of Kyoto and was the seat of the Japanese Emperor for many centuries. 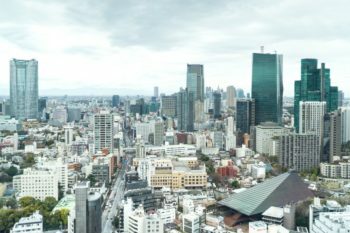 It wasn’t until the 19th century that the Emperor moved to Tokyo, which has been the capital of Japan ever since. Many travel guides and online sources claim you need to apply to visit the Imperial Palace in advance, but that’s not true any more. The grounds are open to everyone nowadays. And there’s a free guided tour in English at 10 am and 2 pm every day. Our verdict: Huge grounds and an interesting insight into the world of the powerful. But if we had to choose between the Imperial Palace and Nijo Castle, we’d probably opt for the castle. The bus number 59 takes about 20 minutes to get from Ninna-ji to the Imperial Palace. From the train station, the fastest way is to take the metro (closest stop: Imadegawa, Karesama Line). 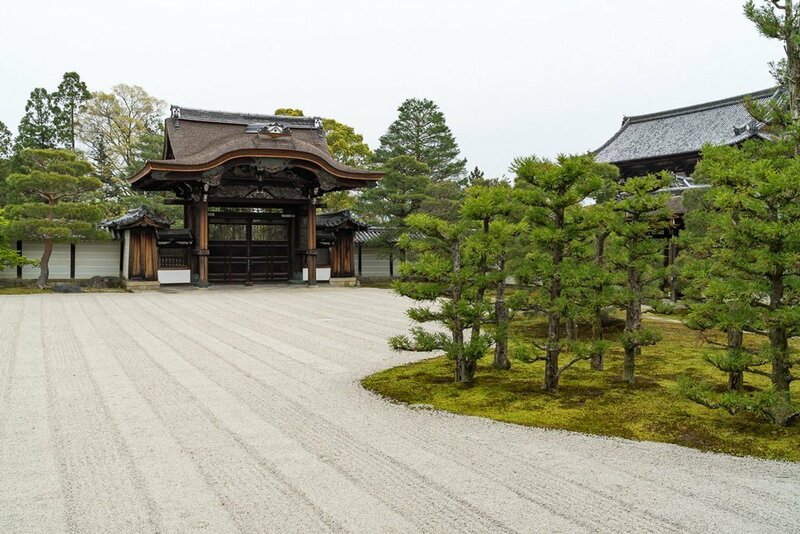 Nijo Castle is located just over a kilometer from the Imperial Palace. The castle used to be the residence of the shoguns, the leaders of the samurai. The castle buildings are very impressive and the circular path through the gardens is very worthwhile. The castle is particularly famous for its squeaking parquet floors, which are said to have been specially built so no one could enter undetected. It’s been said that the squeaking sounds like a nightingale. We think it sounds more like bats. Our verdict: Nijo Castle is very impressive and definitely one of the highlights in Kyoto. 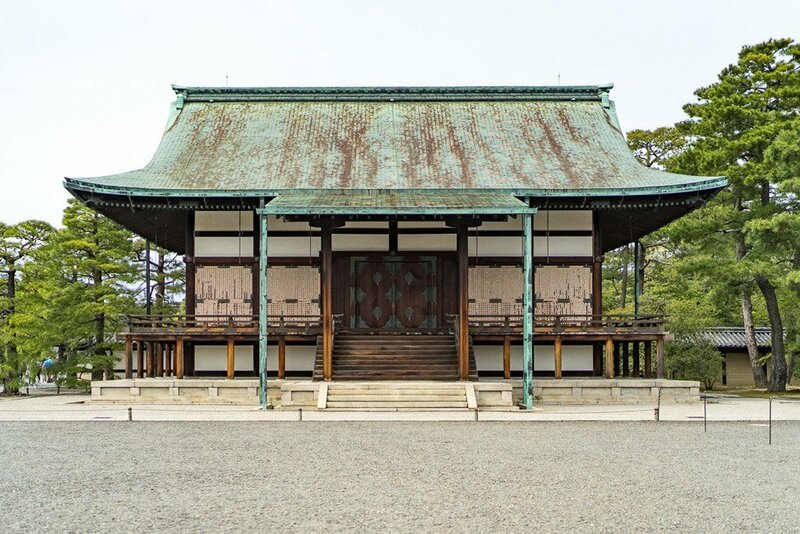 Unfortunately, there’s no direct connection from the Imperial Palace to Nijo Castle. But it’s only a 20-minute walk. 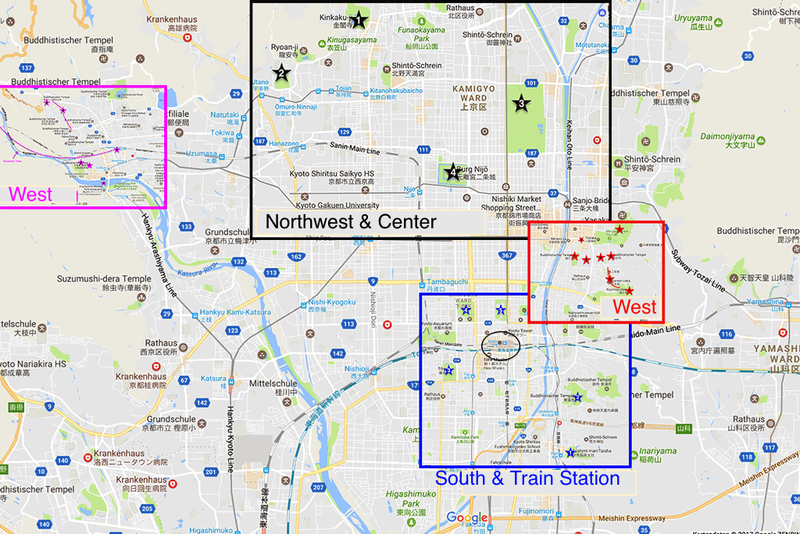 You can also take the metro (closest stop: Nijojo-mae). Day 4 of our itinerary takes you a bit further out from the center to the Arashiyama district in the west of the city, home to some of Kyoto’s most famous attractions. 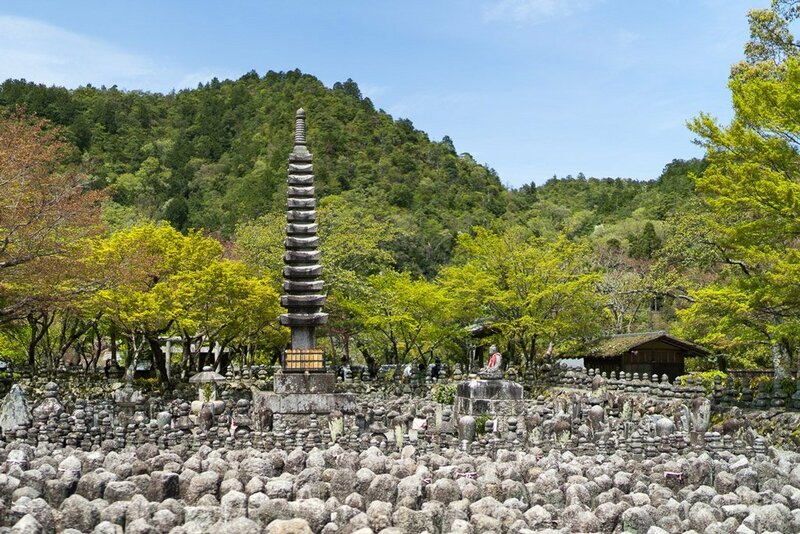 Arashiyama is also a major destination for many travel groups, so brace yourself for masses of tourists, but there are also some great places off the beaten path where you can get away from them. If you want to do everything on the itinerary, we recommend starting by 9 am at the latest, otherwise you’ll be cutting it very close. How to get to Arashiyama: Take the JR Sagano Line from Kyoto Station to Saga-Arashiyama. The whole journey takes about 15 minutes. The trip’s free if you have a JR Pass, otherwise it costs 240 yen. There are buses going to Arashiyama too, but it takes a lot longer and is much less comfortable than by train. The Kyoto Bus Pass isn’t worth it for day 4 of our itinerary. It doesn’t even cover the buses going to the more distant sights in Arashiyama, so you’d have pay anyway. 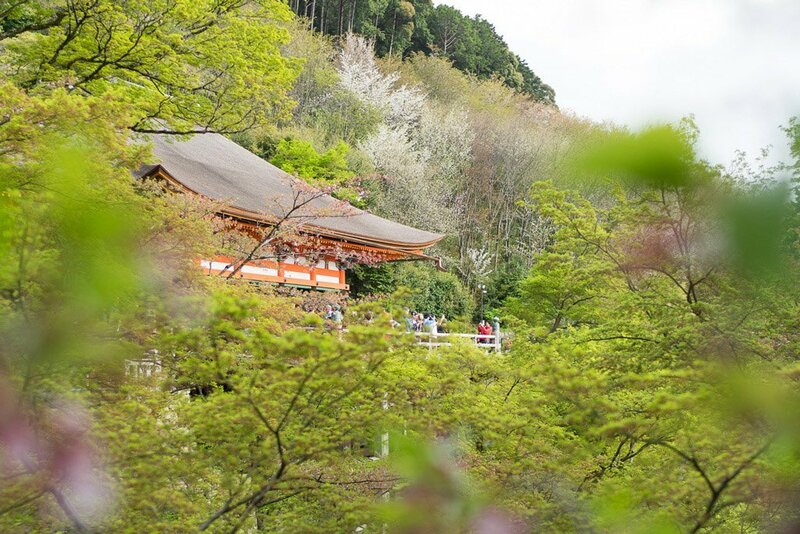 Sights and attractions in the west, in Arashiyama. The most frequented tourist attractions in Arashiyama are all along the main street, which is lined with souvenir shops and leads to Togetsukyo Bridge (a). Located along this road is Tenryu-ji, the main temple in Arashiyama. Its huge garden is particularly impressive. You have to buy separate tickets for the temple buildings and the garden, but it isn’t worth paying to see the buildings. The garden runs right past the buildings, so you can see everything from there. Our verdict: The garden is definitely worth it, the temple itself less so. 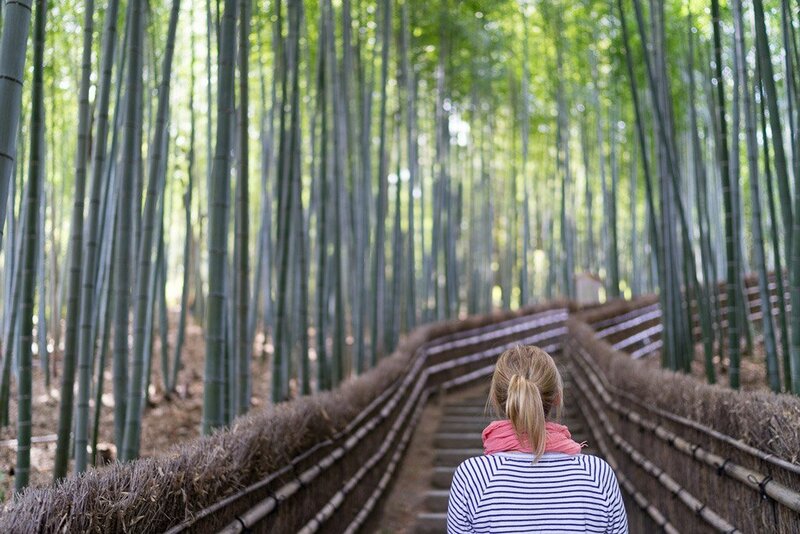 Next head through the Tenryu-ji Gardens straight to the famous Bamboo Forest of Arashiyama. There’s a relatively wide path leading through the huge bamboo grove. Everyone wants to take a selfie among the huge bamboo trees. But you’ll need to bring a lot of patience to take pictures because masses of tourists push their way down this path too. Our verdict: The bamboo forest is impressive, but the masses of people are just extremely distracting. 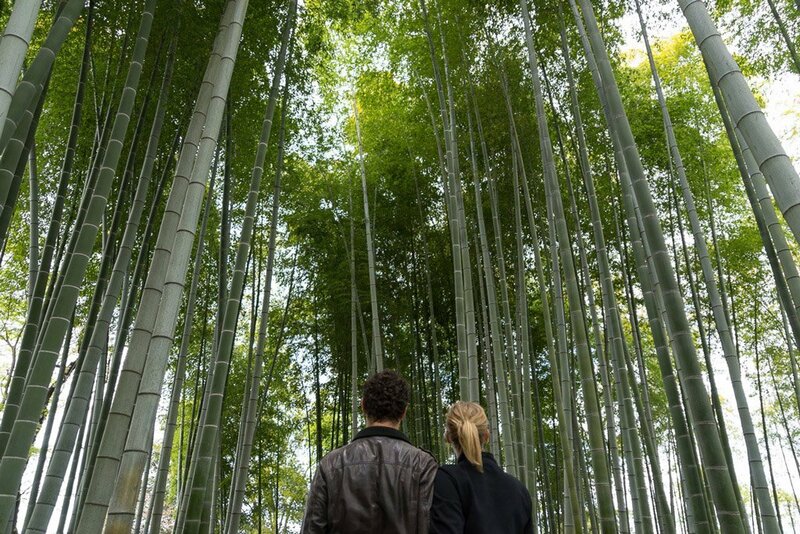 If you want to take a selfie among bamboo plants, we’d recommend Kodai-ji (day 1) or Adashino Nenbutsu-ji Temple, which is also located in Arashiyama. Up until this point, our visit to Arashiyama hadn’t really convinced us yet, and we wouldn’t recommend taking the trip to Arashiyama just for the Bamboo Forest and Tenryu-ji. 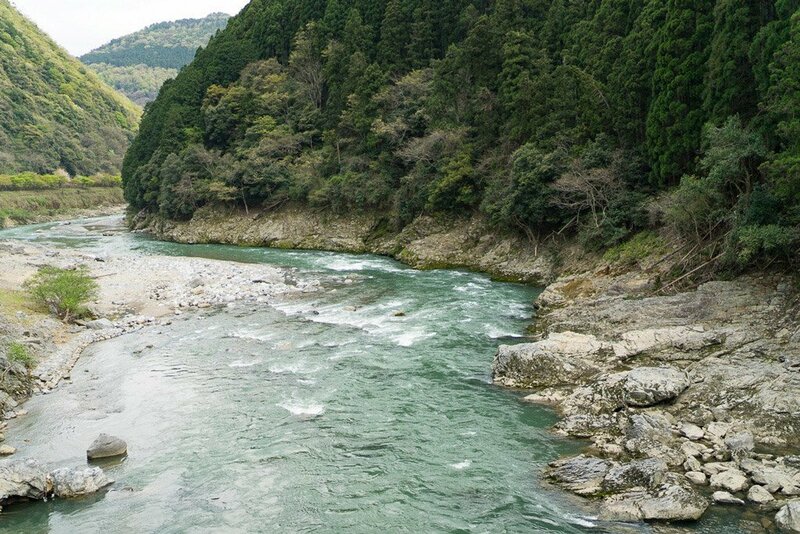 But for us, the real highlight of Arashiyama is the northwest. Adashino Nenbutsu-ji Temple is located in the extreme northwest and it was basically deserted during our visit. There’s a cemetery in Adashino Nenbutsu-ji with more than 8,000 stone statues. Very impressive! There’s also a bamboo grove right next to the temple, and unlike the more famous Bamboo Forest of Arashiyama, there isn’t another soul to be seen. Our verdict: Adashino Nenbutsu-ji was our absolute highlight in Arashiyama and the entire area in the northwest is simply beautiful. It takes about three quarters of an hour to walk from Saga-Arashiyama Station to Adashino Nenbutsu-ji. Or you can take the bus number 91. The closest stop is called Toriimoto and the trip costs 230 yen. The walk from the station to the northwest of Arashiyama is very idyllic and there are many beautiful temples along the side of the road. We’d definitely recommend walking one leg of the way there or back. We took the bus there and walked back. Tourist groups don’t stray that far northwest and so suddenly you’ll find yourself alone in an idyllic suburb with traditional houses and lots of tiny temples. It’s really worth spending some time exploring the area. A perfect end to a day out in Arashiyama is a ride with the so-called Romantic Train. 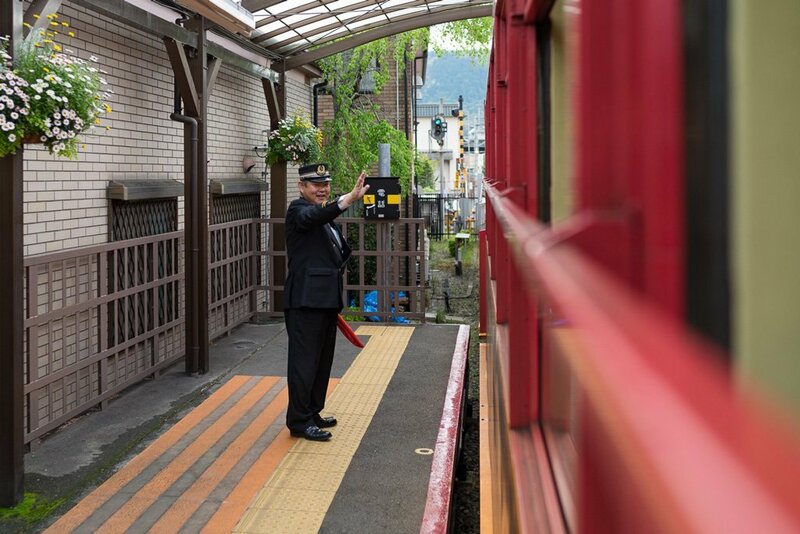 The ancient train happily hurtles down the line on its 25-minute journey through a beautiful landscape from Torokko Saga Station to Torokko Kameoka Station about 7 kilometers to the west. The trip goes down a gorge and past a wide river, through tunnels and over two slightly dubious looking bridges. In terms of scenery, it probably isn’t the most spectacular train ride there is, unlike the train ride from Kandy to Ella in Sri Lanka for example, but it’s worthwhile nonetheless. And at the end of the trip, the conductor, who was almost as old as the train, even burst into song! The trip is especially pretty in the fall when the leaves start to get some color. But it’s also really popular around that time, so make sure to book a few days in advance. The same goes for the cherry blossom season. You can buy tickets at the JR counter at Kyoto Station, or right at the station if the train isn’t full. We were lucky and managed to get a ticket right on the spot. The last train leaves Torokko Saga Station, which is right next to Saga Arashiyama Station, at 4:01 pm. The train’s destination, Torokko Kameoka, is about a 10-minute walk from Umahori Station, where you can catch a JR train back to Kyoto. Instead of ending the day with the trip, it’s also a good way to start it. In that case, take the JR to Umahori from Kyoto and then take the first Romantic Train from there to Arashiyama at 9:29 am. It’s a single-track railway, so the journey is just as nice in both directions. Our verdict: A nice end to a day in Arashiyama! 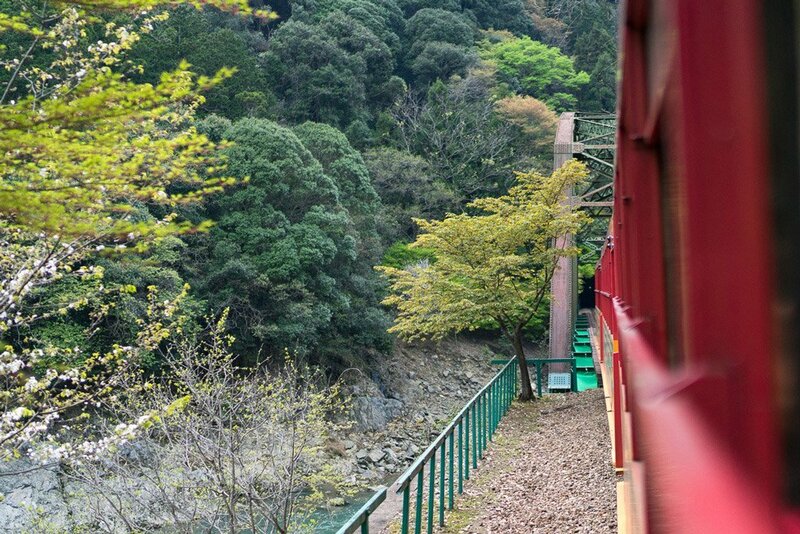 The train leaves Torokko Saga (Arashiyama) once every hour between 9:01 am and 4:01 pm. The return trip to Arashiyama leaves Torokko Kameoka Station every hour from 9:29 am to 4:29 pm. 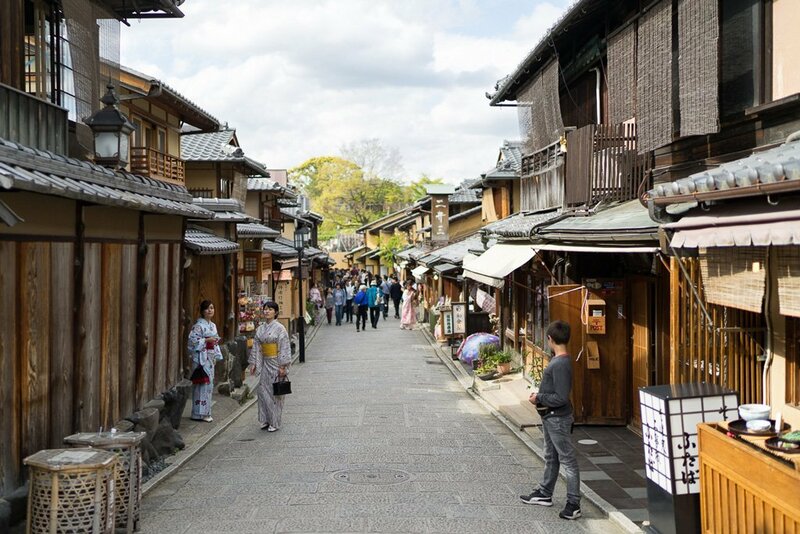 Of course it’s fun exploring Kyoto on your own, but sometimes you might like to head out to discover the city with a local guide. 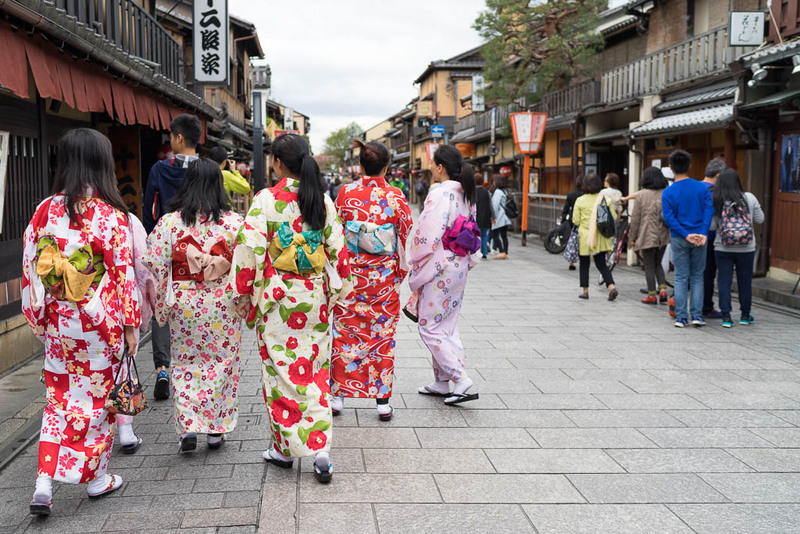 We’ve found you some special guided tours through Kyoto where you’ll get to know the city from a different perspective and are guaranteed to get some real insider tips. The tours can all be booked online and are led by an English-speaking guide. 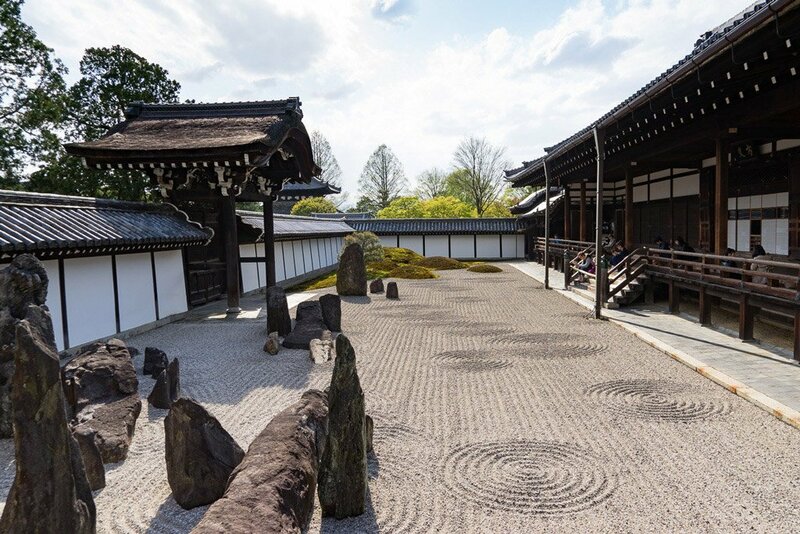 Kyoto tour off the beaten path: This tour will take you on a five-hour-long walk through Kyoto, focusing on exciting places off the beaten path. 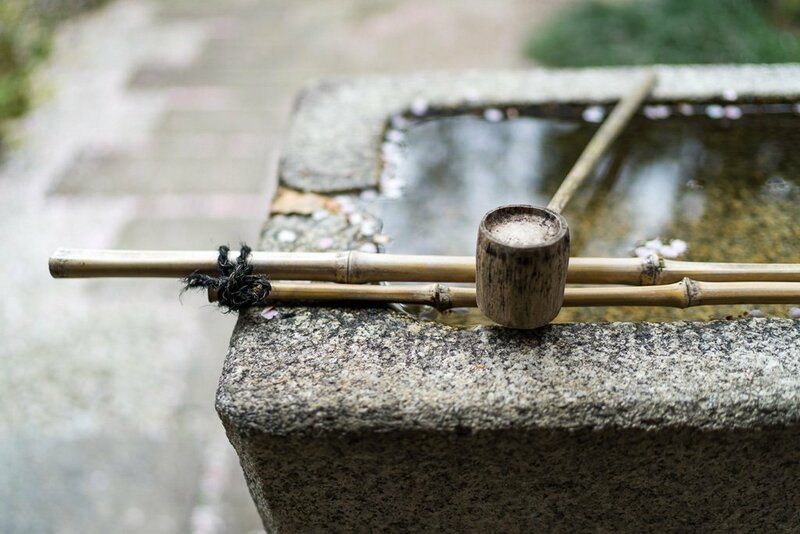 Tea ceremony in Kyoto: A Japanese tea ceremony is a real experience and Kyoto is a perfect place to experience that kind of thing. 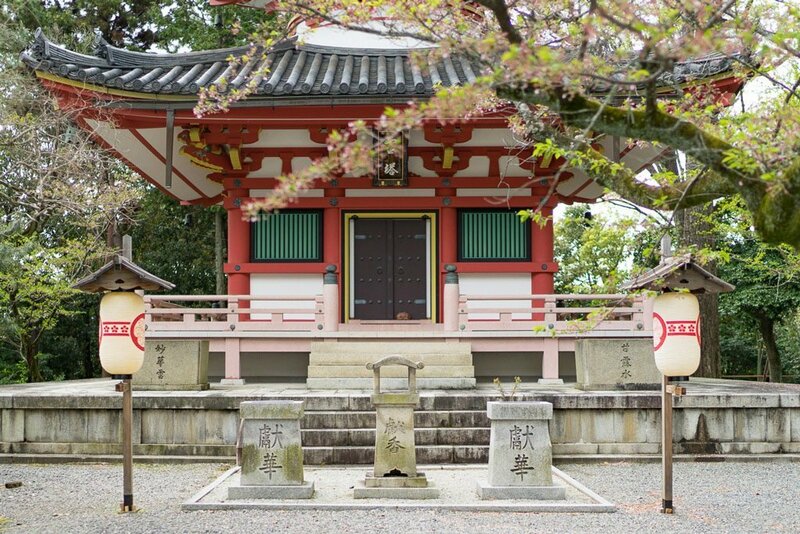 Kyoto Welcome Tour: This tour is perfect for your first day in Kyoto. 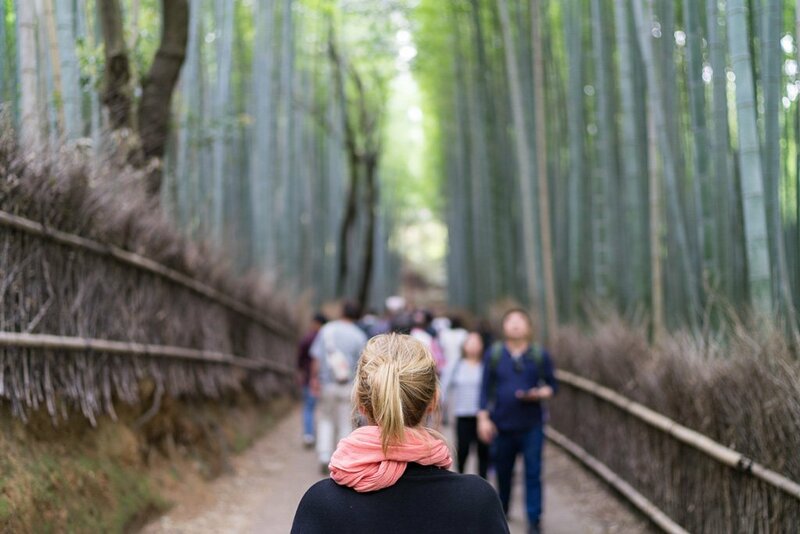 Your guide will accompany you on your first steps around Kyoto and give you lots of tips for your time there, which you can explore for yourself in the next few days. Cycling tour through Kyoto: You don’t always have to get around by bus or your own two feet. Why not explore Kyoto by bicycle for a change? You can do so on this tour. 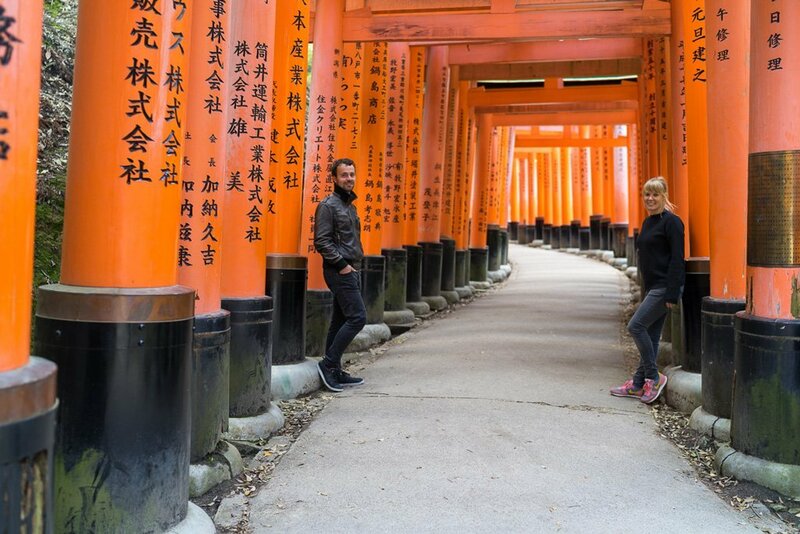 Kyoto highlights with private guide: This tour is for great if you don’t have much time and want to see as much of Kyoto as possible. 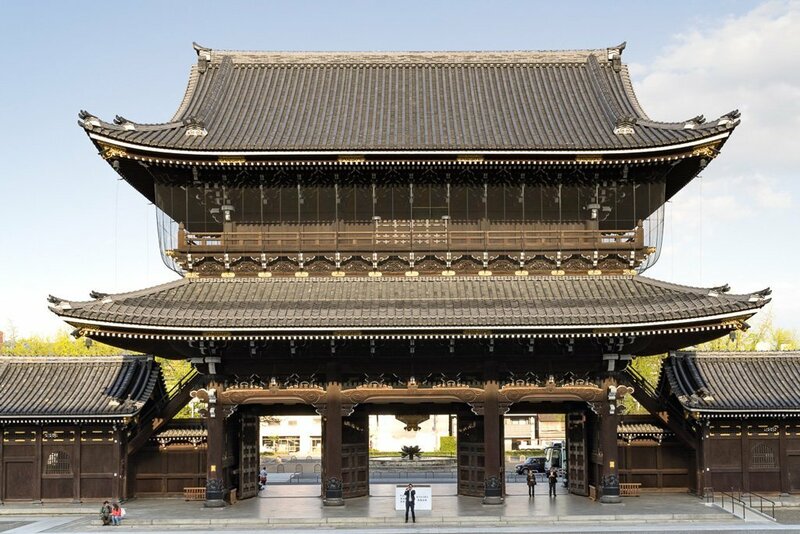 A private guide will take you to the most important sights of Kyoto in this one-day tour. Food tour through Kyoto: This culinary tour through Kyoto is something for true connoisseurs. The guide will take you to a food market where you can try many local specialties. The sights in Kyoto are relatively far apart and are sometimes they’re even all the way out in the suburbs. We planned the individual days of our 4-day itinerary for Kyoto so you can spend most of the time on foot. But that doesn’t always pan out and you can’t go completely without taking the bus or metro in Kyoto. The most common means of transportation in Kyoto is the bus. Buses will take you to most distant corners of the city. But bus travel isn’t all that comfortable because on the one hand, buses are usually packed with people and on the other hand, they stop every 2 minutes, so it takes forever to get from A to B. That’s why we tried to avoid buses and took the train whenever we could. A bus ride costs 230 yen and the easiest way to pay is with an IC card. If you were in Tokyo before, you can also use your Suica card from there in Kyoto. A Kyoto Bus Pass costs 500 yen and is valid for unlimited bus travel for one day, which is worth it if you plan to take three or more trips. The bus pass is available at Kyoto Station, tourist information offices, and other major stations in the city area. We only used the bus pass on the third day when we visited the temples in the northwest. On the other days we only took the bus once or twice. By the way, unlike in most of Europe, you enter the bus at the back and exit at the front. You pay for your trip when you get off, either in cash (have exact change ready!) or with the IC card. If you have a bus pass, then you only validate your ticket the first time you get off, and then just show it to the driver the next time. The metro and local trains are generally a lot faster and more comfortable than buses in Kyoto. Metro lines mostly run in downtown Kyoto while local trains are most suitable for visiting the temples scattered outside the city center. We’ve already told you which train goes to which attraction in our 4-day itinerary above. Unfortunately, staying in Kyoto doesn’t come cheap. Especially in the main travel period in spring and autumn, the already exorbitant prices go up even further. 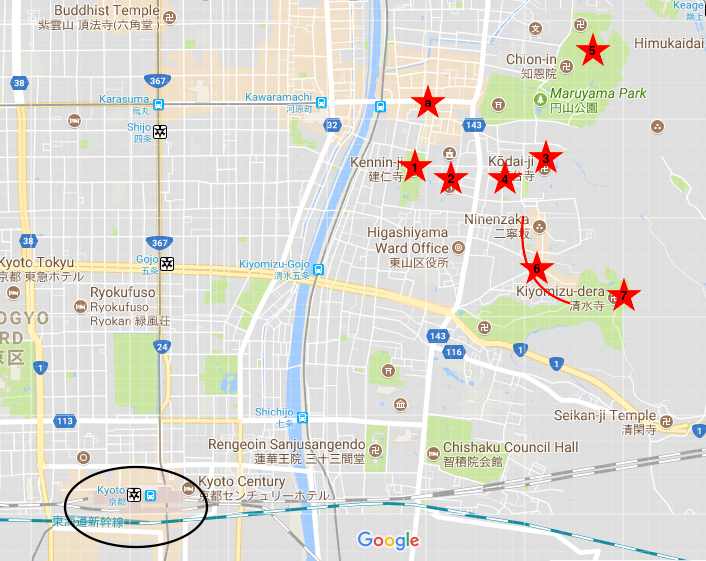 We really recommend taking a hotel in downtown Kyoto because the distances are far enough as it is without having to commute into town first. The area around Kyoto Station is a great location for exploring the Kyoto’s sights and attractions. So is everything north of the station to the left and right of the main shopping street Karasuma Dori. Originally, we had booked an apartment in Kyoto via Airbnb, but that was a complete disaster and definitely the last time we’ll be booking on Airbnb. So we had to move into a hotel at the last minute and were lucky that the Tabiya Hotel still had a free room. After all, the city was already at 97 percent (!) occupancy. 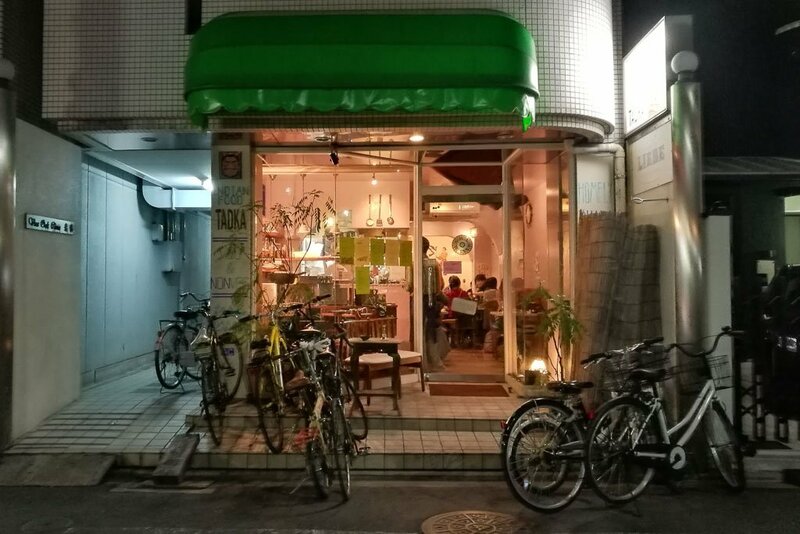 The Tabiya Hotel is located in a quiet side street to the east of Karasuma Dori. 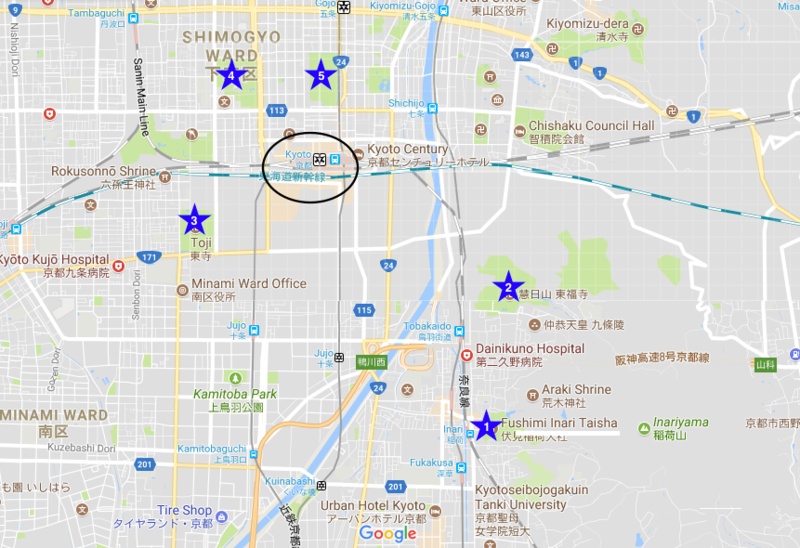 Restaurants, stores, and the Shijo metro station are just around the corner. The temples in the east and the station aren’t far away either. The perfect location! The rooms were really tiny and even more cramped than our hotel in Tokyo. But everything was very new and modern, the bed was comfortable, of course the toilet seat was heated, and the Internet connection was excellent. Weird how quickly you get used to things in Japan. You just shouldn’t bring too large suitcases, otherwise things might get a little tight. The room was cleaned every day and you can take a small free breakfast (yogurt and pastry) from the fridge in the hallway. Our tip: We stayed in the Tsuyukusa room and felt very comfortable there. 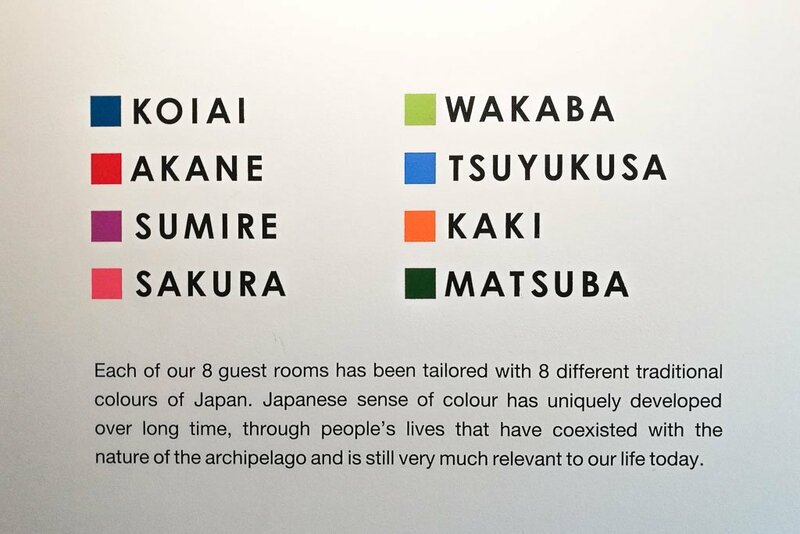 We recommend asking for one of these rooms: Wakaba, Tsuyukusa, Kaki, and Matsuba. Because they all face the street and each have a large panoramic window. That made our room feel very homey and bright. The rooms facing the back, Koiai, Akane, and Sakura, only have small windows. The Tabiya Hotel only has eight rooms. Our hotel only had 8 rooms and it isn’t unlikely that your preferred hotel in Kyoto might be fully booked. 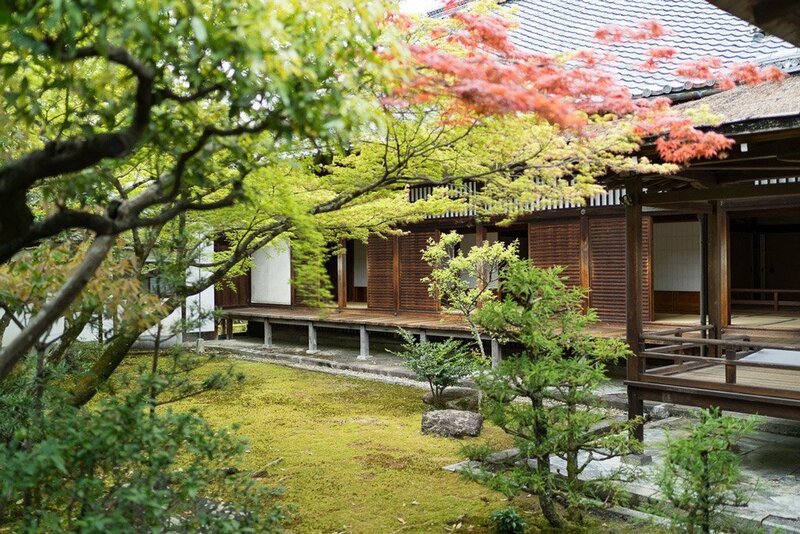 So we’ve found you a few other recommended places to stay in Kyoto. We also discovered some great restaurants in Kyoto that we’d like to share with you. 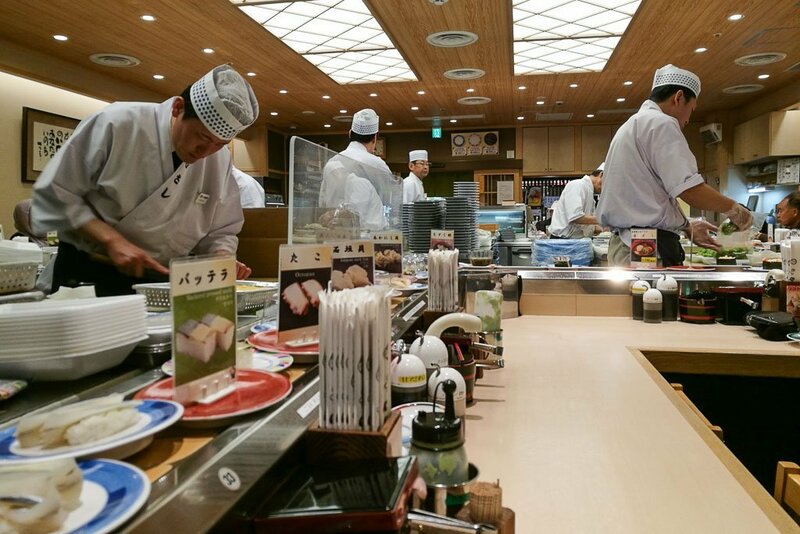 Musashi is a running sushi restaurant in Kyoto and what a place it is! The plates are slightly more expensive than in other running sushi restaurants and cost 146 yen, or 346 yen for special dishes. The selection and quality is really great, so we ate here three times. There are two Musashi branches in Kyoto: One is located at the back of the Kyoto Station in Hachijo Dori. The other is in the center on the corner of Sanjo Dori / Kawaramachi Dori. We like the restaurant in the train station a bit better, but both are good of course. Both restaurants are very popular, so you may have to wait to be seated. We always got there before 6 pm and got a table right away. Tadka in Oshikoji Dori is a super-delicious Indian restaurant in Kyoto. 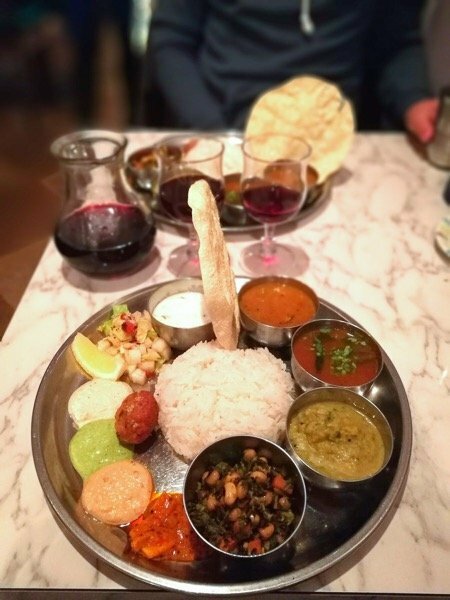 If you’re looking for an alternative to Japanese food, then Tadka is a great choice. The menu isn’t very long, and many dishes are completely vegetarian or even vegan. Everything we tried was extremely tasty and authentic, so we came back here a second time. 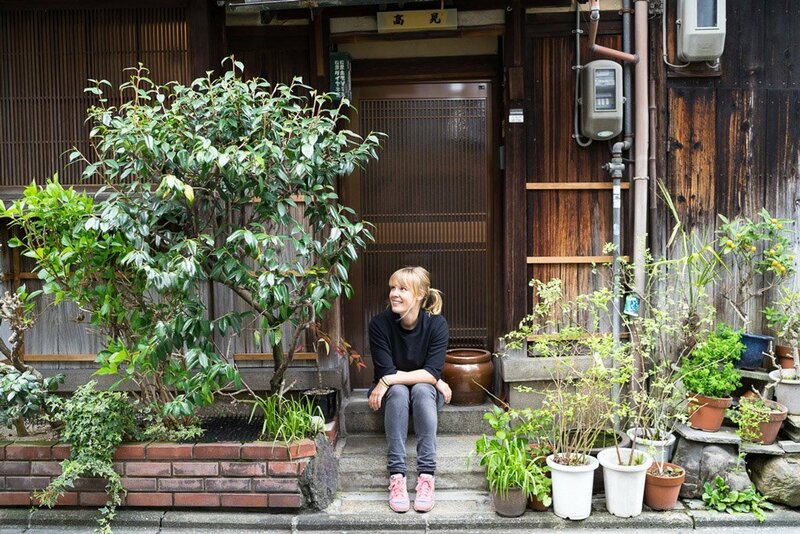 It mainly attracts a younger crowd of eco-conscious Japanese hipsters. Something we only rarely got to see on our trip. Very pleasant! Opening hours: Noon to 3:00 pm and 6:00 pm to 10:30 pm. Closed on Sundays and Mondays. The Organic House Salute, five minutes from the station, is a cute, completely vegan restaurant. You take off your shoes at the entrance and sit at the small tables on the floor. The menu is relatively short. The dishes are super-delicious and the different cakes top off a great dining experience! Opening hours: 11:30 am to 2:30 pm, and also from 5:00 pm to 6:45 pm on weekdays, closed on Thursday. Tenkaippin is a small chain of ramen restaurants in Kyoto. We were at the one in Imadegawa Dori, just around the corner from the Imperial Palace. 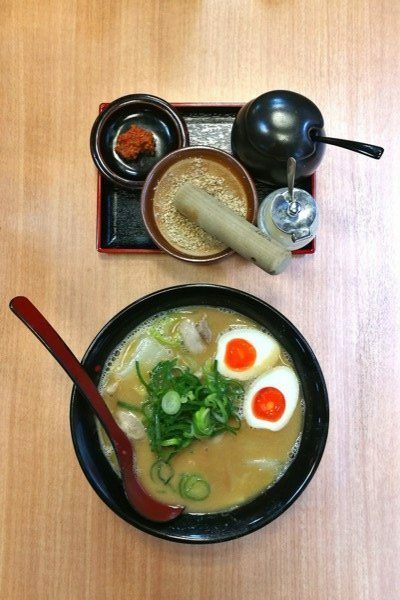 They have very tasty ramen, the typical Japanese noodle soup, one of the best we ate on our trip. Our tip: We took the ramen dish where it said in the menu that we could spice it to taste. The opening hours vary depending on the restaurant. But most of them open every day and stay open well into the evening. Many travelers go on day trips from Kyoto to Nara and Osaka. 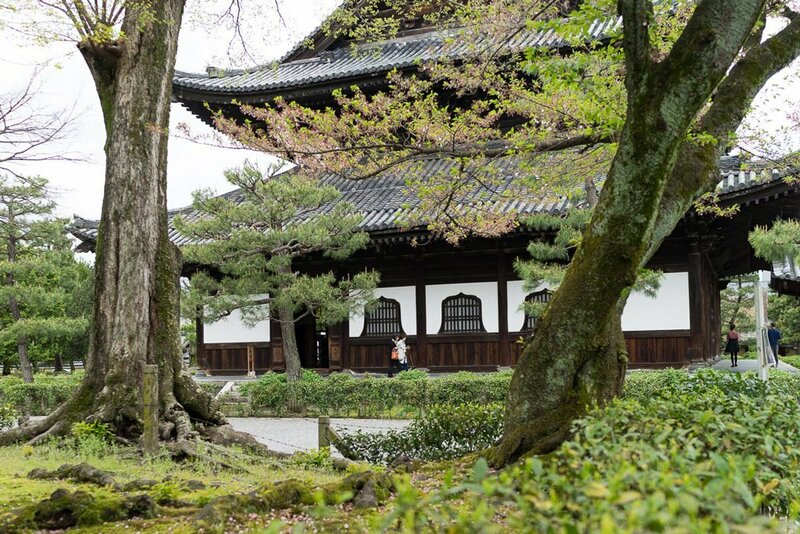 Nara, like Kyoto, is a former capital with many impressive temples. 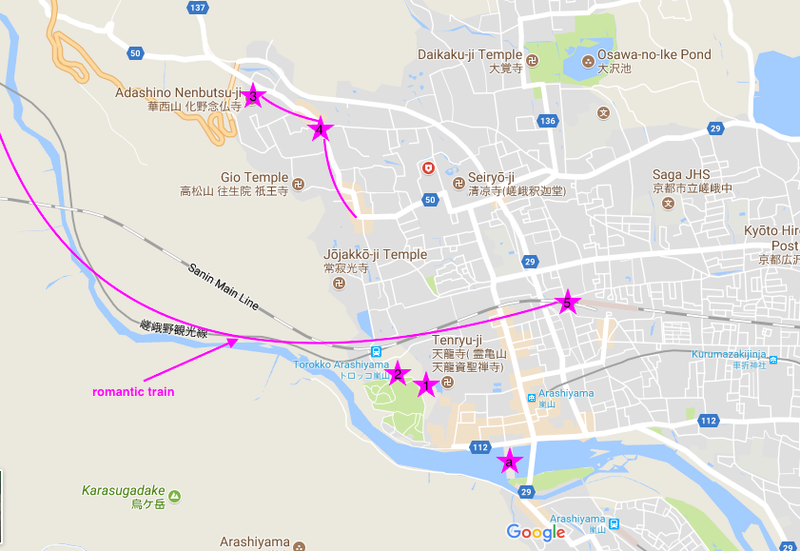 You can take the JR Miyakoji Line to get from Kyoto to Nara in about 45 minutes. Osaka is another popular destination for a day trip from Kyoto. Japan’s third largest city is also only a half hour away by train and has some great sights and attractions to offer. Our tip: Since you’ll be going from temple to temple anyway when you’re in Kyoto, we’d recommend not going straight from Kyoto to Nara. The charm of Nara pales a bit when you come directly from Kyoto. Therefore we’d recommend not just going on a day trip to Osaka from Kyoto, but staying there a few days instead. 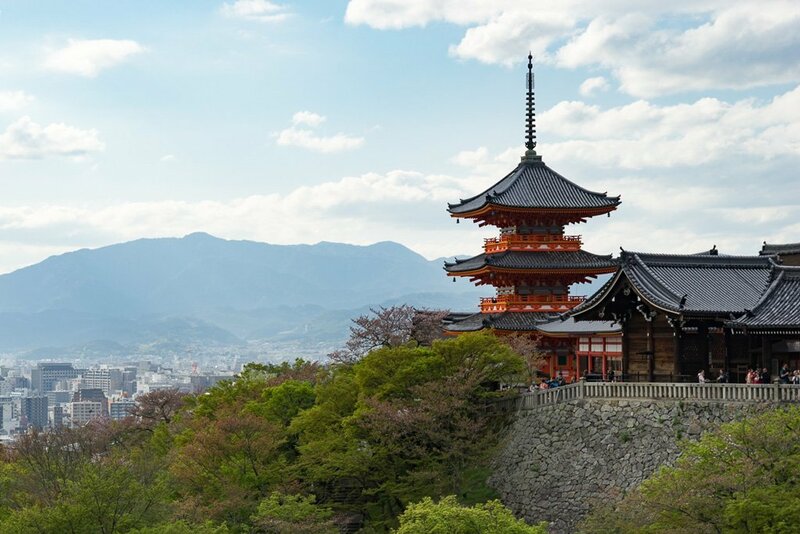 Then you can go on a day trip from Osaka to Nara, which will make it appear much more beautiful in contrast to the modern city rather than to the other historic city of Kyoto. Another popular day trip destination from Kyoto is Amanohashidate, a more than three-kilometer-long sand bank along Miyazu Bay to the north of Kyoto. 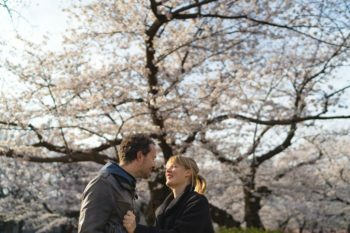 Getting there from Kyoto is a bit more complicated and not exactly cheap, so booking a private tour is a worthwhile option. We hope that our guide to Kyoto will help you plan your time in Kyoto and will also be useful when you get there. We’re really looking forward to your feedback and would be pleased to hear from you with more travel tips, ideas, and hints for Kyoto. What did you think of the city? 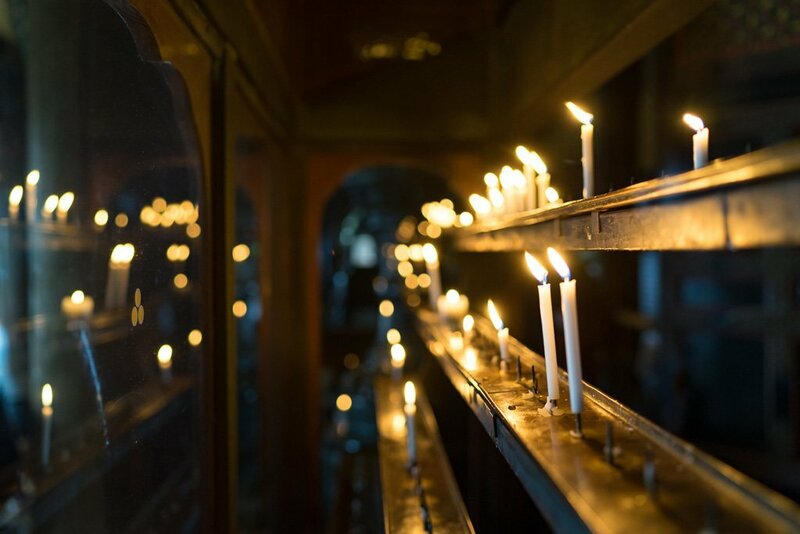 Was it your absolute highlight in Japan or did you grow a bit temple-weary? Please let us know in the comments below! Great review thanks! Do you have any recommendations for onsens? Unfortunately not. We actually hadn’t enough time to go to onsens. Love the way you break it all down! 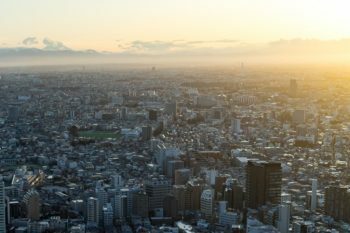 Do you have a similar review of Tokyo? Thanks, Melissa. 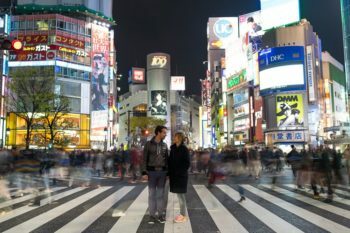 We also have an article about Tokyo: https://www.22places.com/tokyo-travel-guide/. We will go there next Saturday. Thank you for your review. I will follow it. Good work. Hope we’ll have such a good time as you had. You’re welcome! Enjoy your trip! Omg. You saved my life big time. Beautiful article with great dwal of details. Cant thank you enough. Going to japan next week and have 3 days in kyoto. As an office person, dont time to even look general info but i found you and i at least know what to do. Let me know your instagram user name pls. Id like tp follow you. Your information is truly worth it: clear layout, visually appealing, and sincere critiques. I’m preparing for my trip to Kyoto and I stumbled upon your site. You guys rock! Thank you so much!!! This is a great, detailed Kyoto tour guide I have ever read. My wife and I will be traveling to Kyoto, Osaka, and Kyushu for about 16 days. Kyoto is a place that we will explore by ourselves. You tour guide will definitely a great help. That sounds like a great trip you are planning! We are happy our guide can help! Unfortunately, we cannot give you any further recommendations than what is provided in the guide! All we can say about hotels in Kyoto is written down in this article. We hope you will find something nice!